There should be no doubt, with the advent of the Internet our daily lives have changed in a remarkable fashion. From the Office for National Statistics (ONS), figures show that 36 million adults – or seventy-three percent (73%) – were daily internet users in 2013, up from the thirty-five percent (35 %) recorded in 2006, when comparable records began. Of course these figures are world-wide. 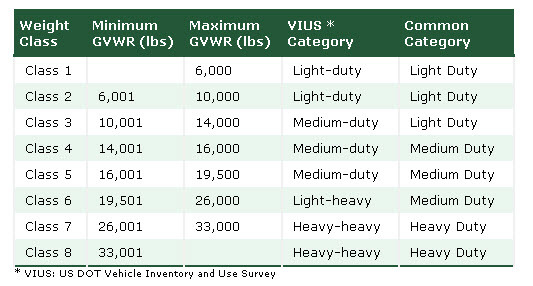 The graphic below will indicate the breakdown by geographic region. As you can see, our friends in Asia lead the pack by a remarkable margin with forty-five percent (45.1%) engaging the Internet on a daily basis. 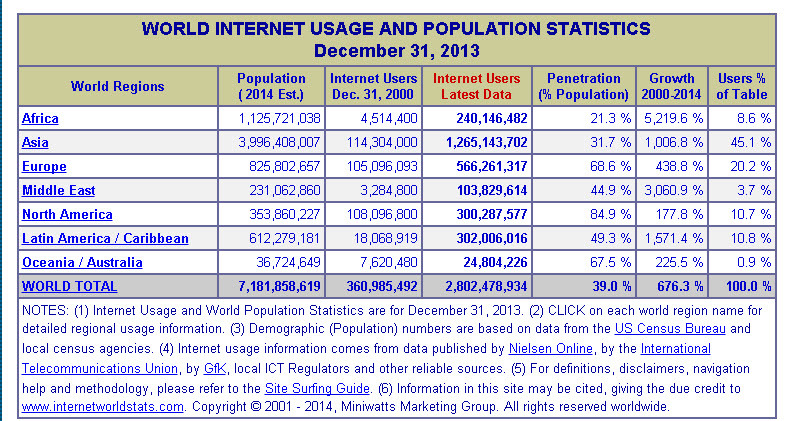 The chart below will indicate the increase in Internet usage by region also as well as providing additional statistics. If we look at penetration and growth, we see a huge increase just over the past five years. The discussion today is not really about usage or the growth of the Internet. We wish to discuss several applications that are revolutionizing our daily lives. This revolution is generally called the Internet of Things or IoT. Other terminology for IoT is M2M or machine to machine. M2M is an absolutely fascinating use of technology with remarkable applications. IoT generally refers to what some call the next-generation Internet, where physical objects are connected via Standard Internet Protocol or IP. I was watching television several days ago when an advertisement began running. The driver of an automobile was required to look back at her baby snuggly strapped into a car seat. Her attention was diverted for only a second but just long enough for a truck in front of her to stop abruptly. Without applying the brakes, the car came to a gentle stop. A sensor in the grill of her vehicle detected zero movement of the truck ahead and sent that message to an onboard computer. The computer relayed a signal to the brake cylinders, thereby applying pressure—the car came to a stop. Machines “talking” to machines. Using an array of embedded sensors, actuators and a variety of other technologies, the loosely connected “things” can sense aspects of their environment and communicate that information over wired and wireless networks, without human intervention, for a variety of compelling uses. This is a great representation of IoT. Let’s take a quick look at where some feel we are going relative to IoT and M2M. The bullets below will give some indications as to what is to come. Fifty billion devices will be connected to the Internet by 2020, predicts Cisco Corporation. The remote patient monitoring market doubled from 2007 to 2011 and is projected to double again by 2016. The data generated from sensors is sent to monitoring stations where audible and/or visual indications result when a patient is in trouble. The utility smart grid transformation is expected to almost double the customer information system market, from $2.5 billion in 2013 to $5.5 billion in 2020, based on a study from Navigant Research. Of course, this will allow utilities to provide power at lesser rates and with more regularity. Wide deployment of IoT technologies in the auto industry could save $100 billion annually in accident reductions, according to McKinsey and Company. The industrial Internet could add $10-15 trillion to global GDP, essentially doubling the US economy, says General Electric. Seventy-five percent (75%) of global business leaders are exploring the economic opportunities of IoT, according to a report from The Economist. As the Internet of Things ramps up and millions of devices become connected to the Internet, there is also a push to enable communication among all types of devices available on the Internet. These devices include process control systems, power line communication devices, precision machinery, and various types of infrastructure. One very critical aspect of properly working IoT devices is the need for simulation. Simulation is an essential element of building an IoT network. These networks are starting to become complex and ubiquitous, and the communication among them can be very unpredictable without considerable modeling. As we saw in the example above, successful braking is dependent upon feedback between the engine and actions of the automobile. 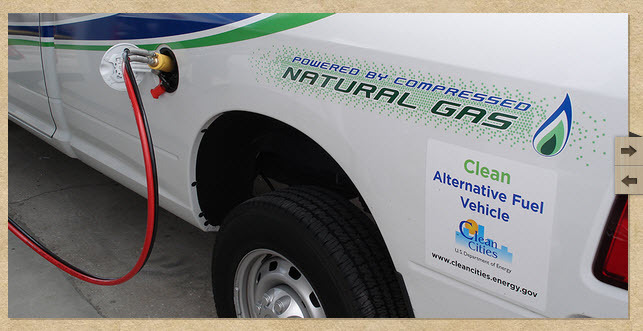 As the braking systems are applied, fuel injection to the engine must lessen and eventually stop. Learning how to design and implement embedded software. Mechanical engineers need to interface regularly with software specialists so both design aspects of the product evolve concurrently. The ME can no longer “throw it over the fence” and let the “boys” in IT solve the remainder of the problems. Also, a much higher level of software development is needed WITH simulation prior to product launch. Communication capabilities will become paramount in developing software. Engineers will need to choose from dozens of proprietary and standard communication protocols, and factor in things like network protocols, potential radio frequency (RF) noise and interference, and the physical fit and placement of new communications components as a part of their requirements. Mechanical and electromechanical design teams now have to think about communications and what domain constraints might affect layout and design. Instrumentation is absolutely critical to amass, store and manage data collected by “smart products”. Understanding the functional aspects as to how equipment is to behave will help design engineers anticipate potential failure modes much more effectively, which in turn effects how they specify instrumentation packages into designs. Data and security is an absolute MUST for any M2M application and safeguards must be factored into IT considerations. IT, typically has ownership of the data and with this being the case, IT needs to be folded in with initial planning of the product or the assembly of components. Engineers CANNOT build devices in isolation if they want to take complete advantage of all possibilities. Information for this post was taken from the following sources: 1.) Design News Daily Magazine, Rob Spiegel, 2.) Machine Design, “Engineering by the Numbers”, 9 October 2014, 3.) Payscale.com, and 4.) The Occupational Employment Statistics, Bureau of Labor Statistics. We all are interested in knowing how we “stack up” relative to the average compensation package within our specific discipline. It’s human nature to want to know. Most companies do not publish individual salary levels but most publish salaries within “band” levels. Of course, salaries are dependent upon several factors such as, discipline, number of years within a profession, education levels, number of years with a specific company, company size, company profitability, and certain other markers company specific. 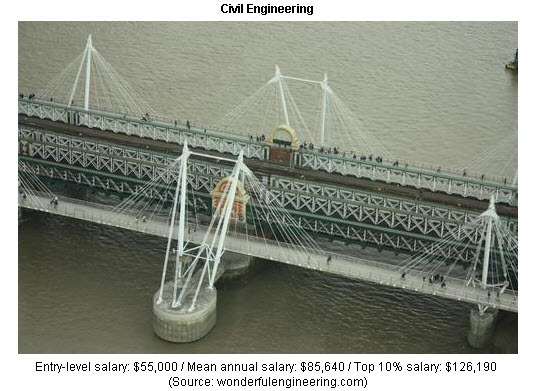 This post will give a very brief summation of salary levels within various engineering disciplines showing the maximum and minimum basic compensation. I will come back at a later date and provide additional information relative to job satisfaction, demographics for the engineering profession at large and what some feel is the future of engineering in general. Where are we going as a profession? 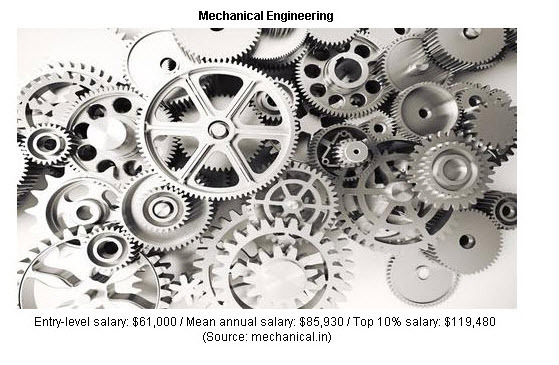 Let us now take a very quick look at what Machine Design considers to be the top six (6) engineering disciplines relative to pay grade. 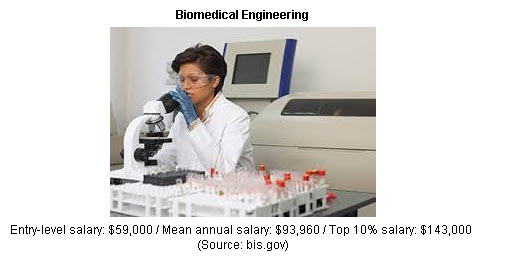 In my opinion, I think Biomedical Engineering is one of fastest growing fields in the engineering profession. When I was attending the university, in the dark ages, we did not have biomedical engineering. There were EE, ME and Materials Engineering “types” that gravitated to those endeavors simply because they felt compelled to contribute. Today, several universities offer specific degrees in Biomedical. An excellent profession to work within. 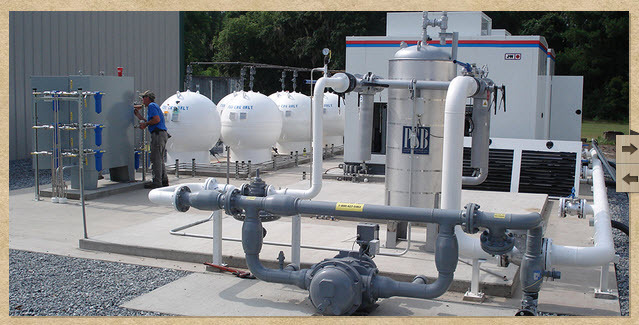 Chemical engineering has always been an area much in demand due to the requirements of the field. General knowledge of chemistry is absolutely necessary for success in this discipline. This is certainly one reason the field enjoys a higher entry salary. 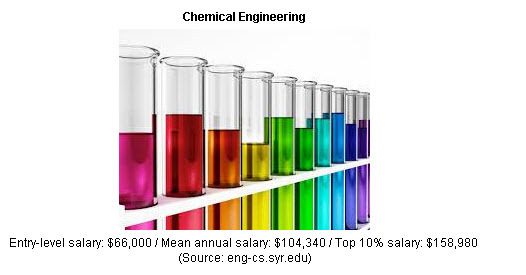 The petroleum industry attracts many chemical engineers for obvious reasons. Years ago, and I do mean years ago, there were two types of engineering; military and civil. Civil represented all other fields of engineering not practiced within the confines of military needs. Today, civil engineers perform a great number of tasks including design of structures such as defined by the graphic above. I feel the $55K entry level is much too low for the work accomplished. One very good thing about computer engineering hardware and software—they will be with us forever. 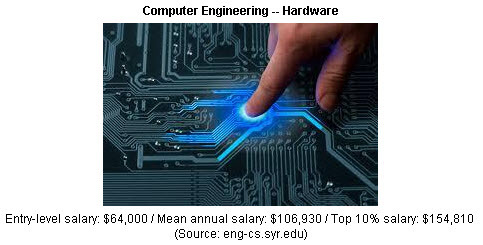 There is an increasing demand for software engineers due to advances in the field of mechatronics. All complex systems benefit from computer-driven software. I think that is a given. Some say the coal industry is going the way of the dinosaur. I think not. We still need those by-products from coal so mining remains a very desirable profession if not for that reason only. In addition, geological engineers are employed by most, if not all, petroleum industries for the purposes of exploration. Conflict minerals; i.e. cassiterite (for tin), wolframite (for tungsten), coltan (for tantalum), and gold ore, must be mined in addition to many other subterranean substance. 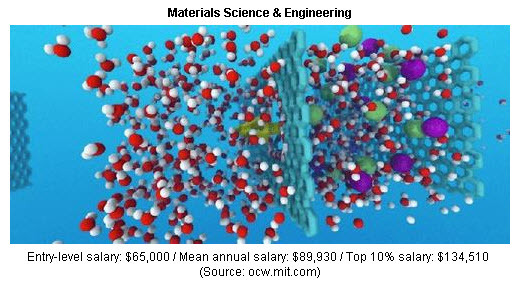 Material science is one the most intriguing fields within the engineering profession. Steel, aluminum, brass, copper, have been with us for centuries but composite materials represent a remarkably fast-growing and fairly new field of endeavor. Automotive and aerospace companies are investing heavily in material science to improve strength and decrease weight. Mechanical engineering is one of the oldest fields in the engineering profession and started with the need to produce and deliver power. Gears, wheels, brakes, pulleys, springs, levers, positioning devices, storage tanks all depends upon stress/strain calculations and measurements in order to provide products that are safe and fulfill needed requirements. As mentioned above, I will have more relative to the engineering profession over the next few days and keep in mind, these six represent a fraction of engineering opportunities available to an interested individual. Hope you enjoy this one and it is beneficial to you. What would you call a BIG story? ISIL, Ebola Virus, Benghazi, IRS problems with Tea Party members, the search for the missing Malaysian jet? All are big stories and certainly deserve necessary airtime and commentary. There is one story that has gotten almost zero (0) airtime from the media and one story I feel is absolutely remarkable in importance relative to pushing the technological envelope. 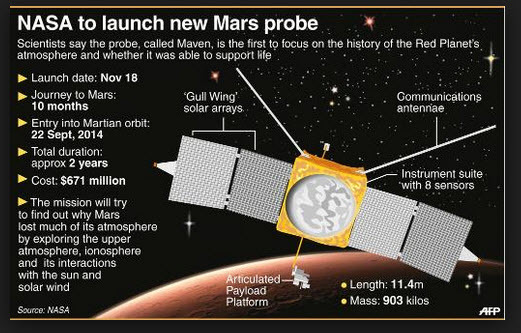 The Mars MAVEN mission has been a huge success to date with the unmanned craft now orbiting the “red” planet. Determine the role the loss of volatile gaseous substances to space from the Martian atmosphere has played through time. Determine the ratio of stable isotopes in the Martian atmosphere. There is some thought that by understanding the atmospheric conditions on Mars, we will gain better insights as to the evolutionary processes of that planet and maybe some ability to predict evolutionary processes on Earth. Also, discussions are well underway relative to future establishment of colonies on Mars. If that is to ever happen, we definitely will need additional information relative to atmospheric and surface conditions. 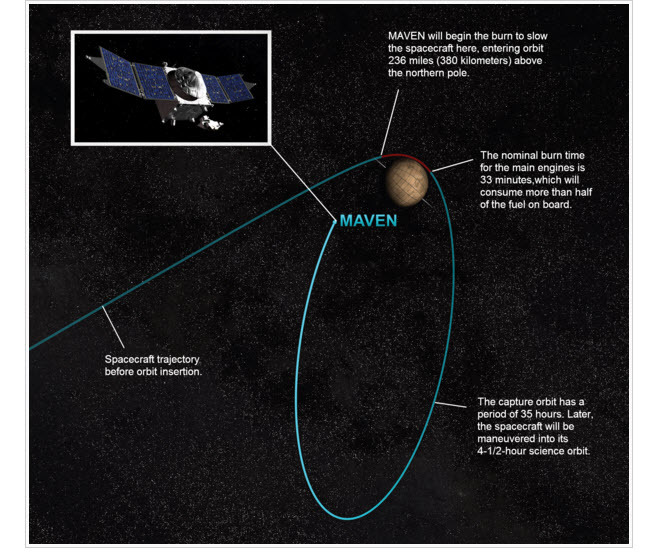 The graphic below is a pictorial of the MAVEN system. 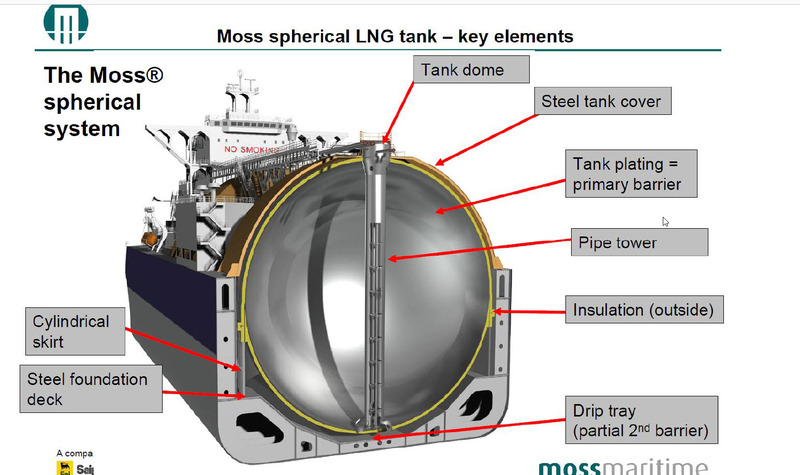 This is somewhat “busy” but one which captures several significant specifics of the hardware including onboard instrumentation. 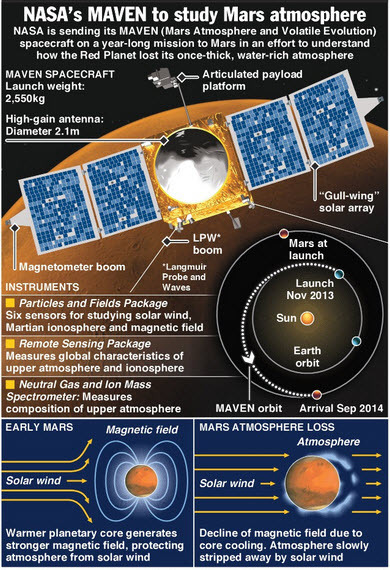 After a 442 million mile trip, how did MAVEN hook up with Mars? Very, very carefully. The blue line in the graphic below shows the first part of MAVEN’s trajectory during its initial approach and the beginning of the 35-hour capture orbit. The red section of the line indicates the 33-minute engine burn that slows the spacecraft so it can be captured into Martian orbit. Mars’ orbit around the sun is indicated by the white line to the right of the planet, and the Martian moons’ orbits are dimly visible in the background. This is a remarkable example of engineering and physics allowing for pinpoint accuracy relative to entry and the establishment of orbital stability. The The Particles and Fields Package, built by the University of California at Berkeley with support from CU/LASP and Goddard Space Flight Center, contains six instruments that will characterize the solar wind and the ionosphere of the planet. The Remote Sensing Package, built by CU/LASP, will determine global characteristics of the upper atmosphere and ionosphere. The Neutral Gas and Ion Mass Spectrometer, provided by Goddard Space Flight Center, will measure the composition and isotopes of neutral ions. 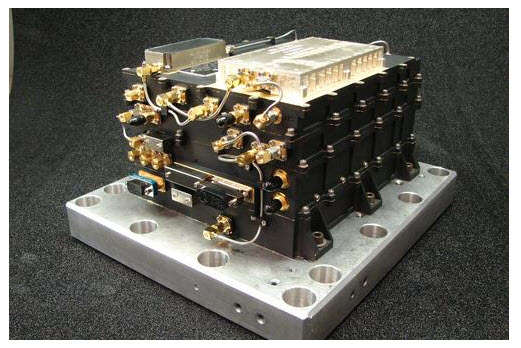 MAVEN also carries a government-furnished Electra UHF radio, shown by the graphic below, provides back-up data relay capability for the rovers on Mars’ surface. Lockheed Martin, based in Littleton, Colorado, built the MAVEN spacecraft and provides mission operations. NASA’s Jet Propulsion Laboratory is providing navigation services, and CU/LASP conducts science operations and data distribution. 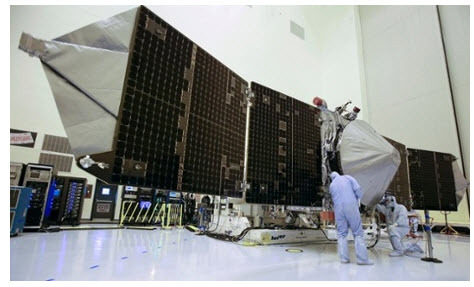 On February 19, the MAVEN team successfully completed the initial post-launch power-on and checkout of the spacecraft’s Electra ultra-high frequency (UHF) transceiver. This receiver is shown with the graphic below. This relay radio transmitter and receiver will be used for UHF communication with robots on the surface of Mars. Using the orbiter to relay data with this relay radio from Mars rovers and stationary landers boosts the amount of information that can be relayed back to Earth. As you can see from the JPEG, the array is huge but necessary to power the complete system. 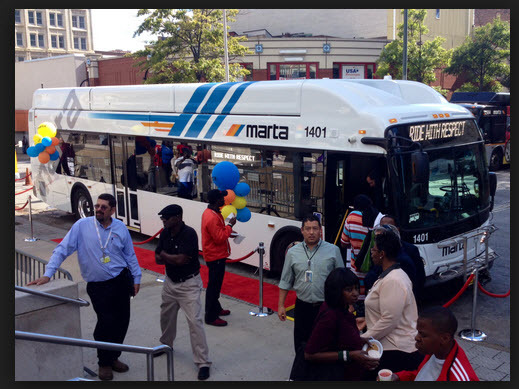 The craft’s core structures are made with carbon fiber composites made by TenCate Advanced Composites. The company is experienced in the design and fabrication of composites for aerospace applications, having already supplied them to previous Mars missions, including the Rover and Curiosity rovers. 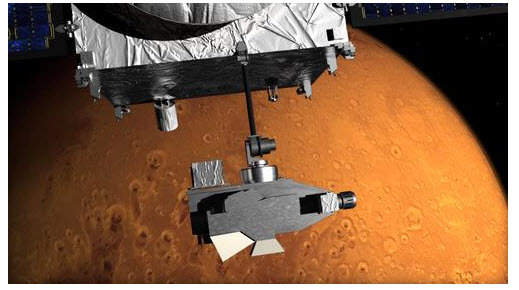 For MAVEN, which will orbit Mars for about one Earth year, TenCate engineered composite face sheets sandwiched between aluminum honeycomb sheets for the spacecraft’s primary bus structure. Other materials in the orbiter include a cylindrical aluminum boat tail on the aft deck that provides engine structural support. The craft is kept at the correct operating temperature — 5F to 104F — using active thermal control and passive measures, such as several thermal materials for conducting or isolating heat. Most of the orbiter is enclosed within multi-layer insulation materials; the outside layer is black Kapton film coated with germanium. Hopefully, you can see now why I feel MAVEN is a BIG story worthy of considerable air time. It’s a modern-day engineering marvel. I welcome your comments: bobjengr@comcast.net.